In our PC or Desktop Computers, Laptops, there is a Recycle bin option available which is more beneficial if accidentally any time we delete something that we don’t want, then we can simply recover files from recycle bin. But in Android devices this feature is not available , and if we delete some files, or deleted accidentally, then does not have any way to recover it. 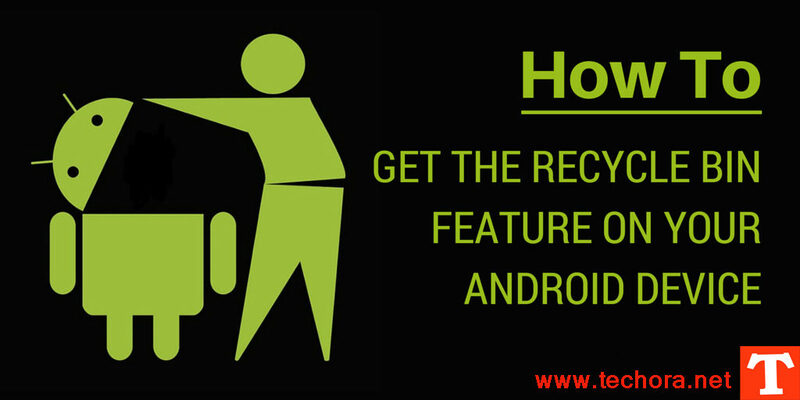 But in this article, I’m show you how to recovers your deleted files to your android phone and how to add recovery recycle bin to your android smartphones. Recycle bin is one of the best and most beneficial and well option in our Window computers which help us a lot to recovers our files and data. But android devices don’t allow this feature. But don’t worry stay with us to know how to adding this feature in android phone. 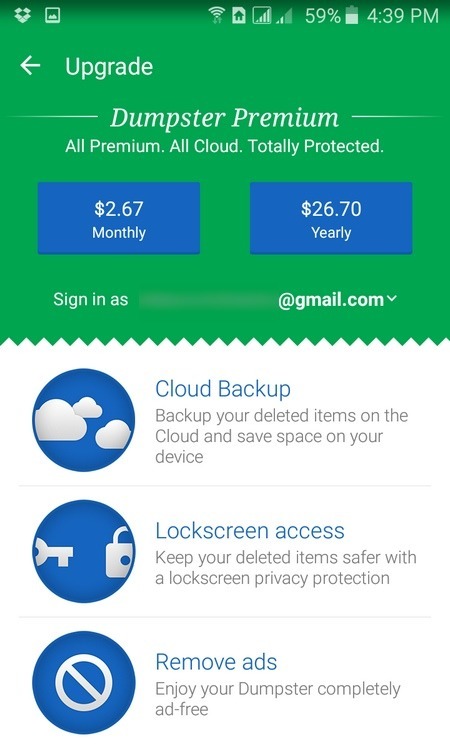 Using recycle bin feature into your Android Phone, now you will be able to protecting your data , if deleted accidentally or deleted some one others. There are also many other apps which you can use to recovers your deleting data or files into your Android Device, but there are only some are worked well . 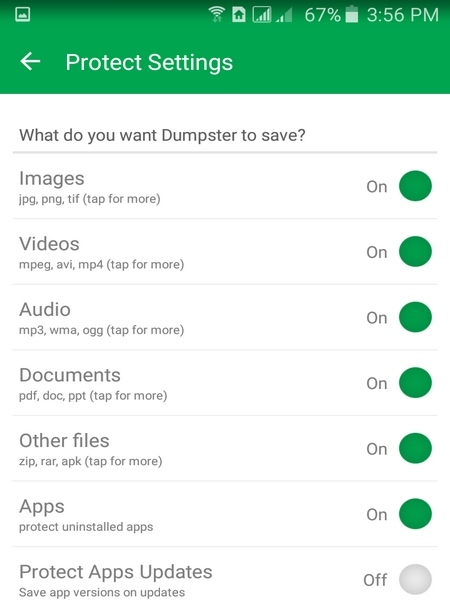 Now today, i’m telling your about the “Dumpster” app which is available on play store , so you can easily download it and install into your android smartphones devices. With using this app, you can only recover accidentally losting data after installing into your phone. 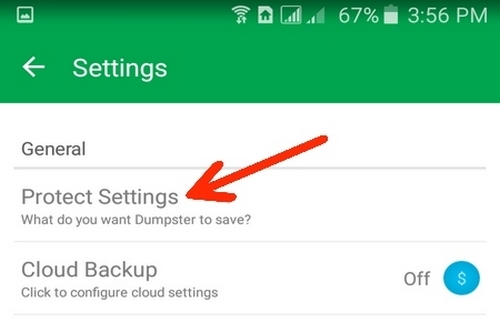 Now below is the complete guide with snapshots of how to use Dumpster and how to use them to recovering our lost data in our smartphones. Dumpster app is very awesome and simple . It is fully user-friendly and interacting layout. If you never use any recovering apps into your smartphones, then you’ll love this app. Simple install it into your mobile set, and it will recovers and save all your deleted files and data. Step 1 – First of all go to the PlayStore To find Dumpster . 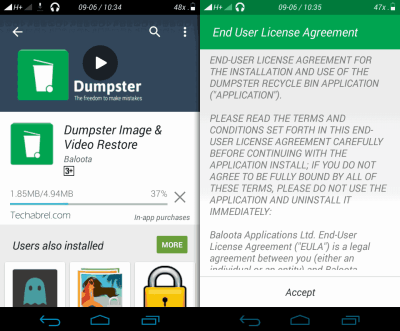 Step 2 – Install Dumpster into your Android Phone and accepting the terms and conditions. 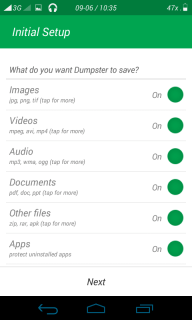 Step 3 – After opening this Dumpster android app, a page ask from you to selecting your desired file type. Basically these file types this app track out, and will restore it if these type of files are deleted. There are many options, which you can also use in this app. After this click on the “Next” link below. Step 4 – Now you work is done, you’ve setting this app which will work as a Android Recycle Bin to recovering your deleted data from your phone. Step 5 – If you want to setting more in it, then you can go to the Hamburger symbol just upper left corner into your setting tab. Step 6 – Now go to the “Protect Setting” tab, to protect your files like images, video, audios, documents, and other files. 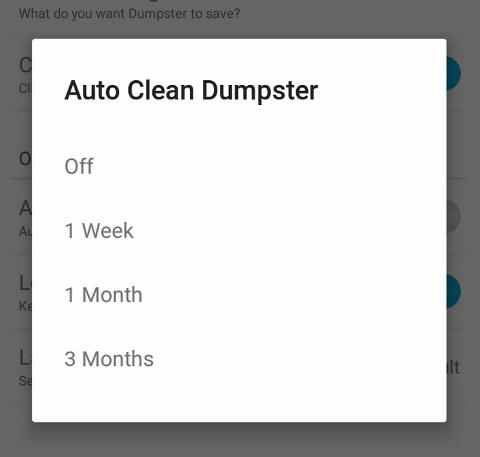 Step 7 – You can also use the “Auto Clean Dumpster” option, which will allow you to set up to automatically erasing all the files that this app will saved for every week, every month or even every three months. Step 8 – You can use it’s advanced features, which include the Cloud Storage. Dumpster also allow you to back up all your deleted data in the cloud space. It is a premium features, but you can use free version which will available with some kinds of advertisements. Step 9 – Now open your Dumpster app, if you’ve any files deleted then here you can see out the notifications, simply choose any file and click on “Restore”. It will automatically restore into it’s original location from where it will deleted. 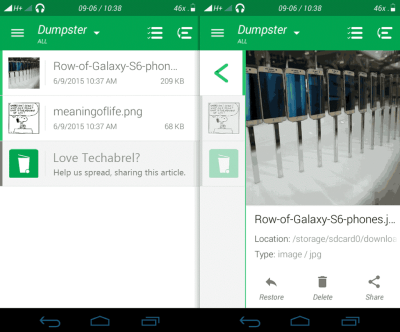 So , hope you will understanding this Dumpster Android App, which will allow you to recover your deleted files and data in a little bit of time. You can use it and try it’s many other features. There are also many other apps available , you can use them and then tell us about which is working well for you in the comment section below.